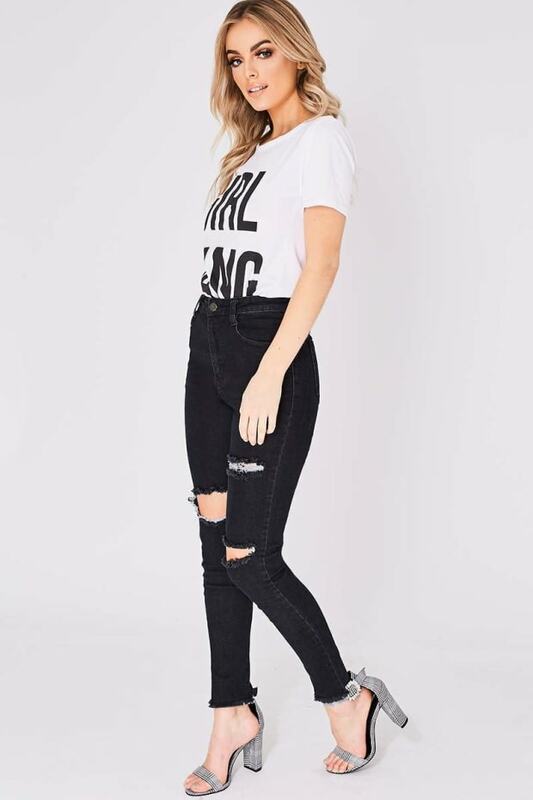 Update your jeans collection with these distressed black skinnies! 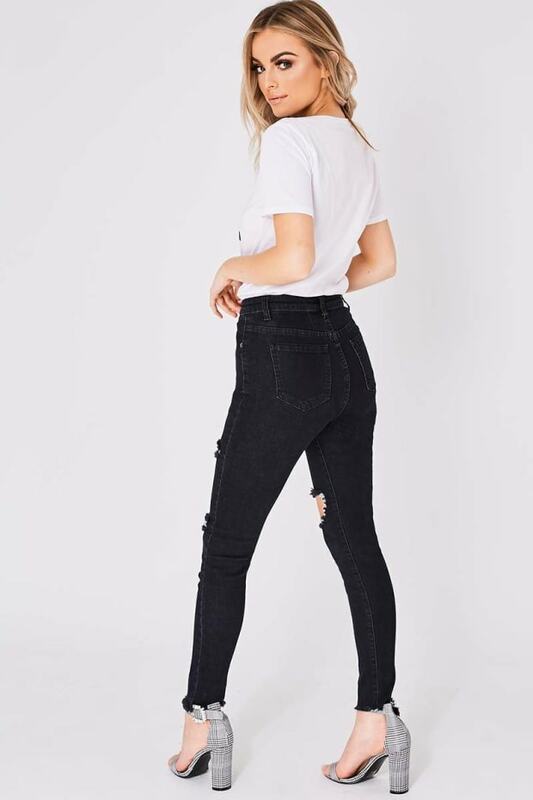 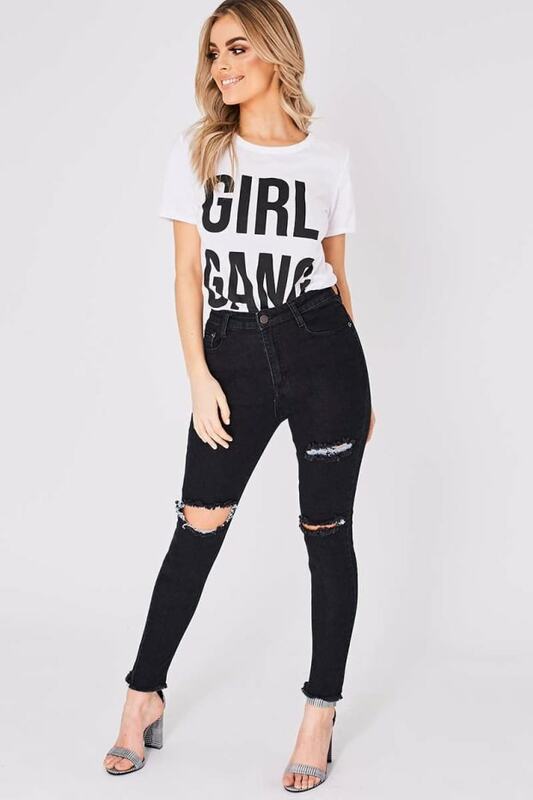 Featuring a high waist, flattering fit and distressed detailing, these jeans will take you from day to night! 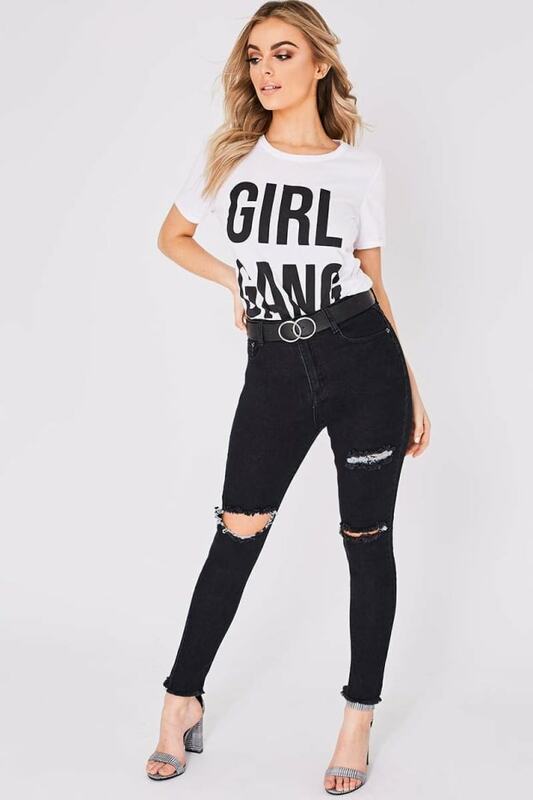 Style with your fave tee and strappy heels for a chic day look.